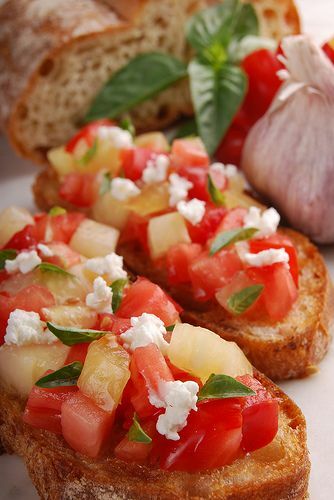 Bruschetta, pronounce "brus'ket'ta" consists of grilled bread rubbed with garlic and topped with extra-virgin olive oil, and salt and pepper. Variations may include toppings of spicy red pepper, tomato, vegetables, beans, cured meat, and/or cheese; the most popular American recipe involves basil, fresh mozzarella, and tomato. 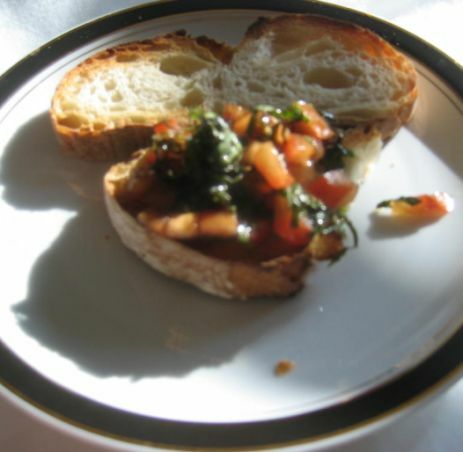 Bruschetta is usually served as a snack or appetizer and it is so easy to make! 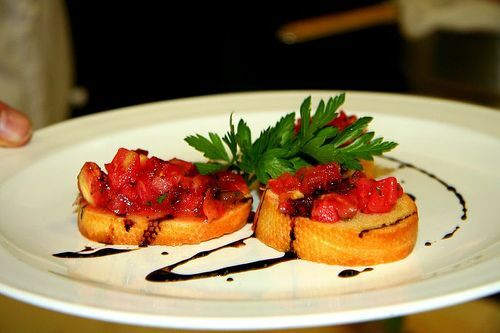 Here I am serving the Bruchetta with reduced Balsamic vinegar sauce. 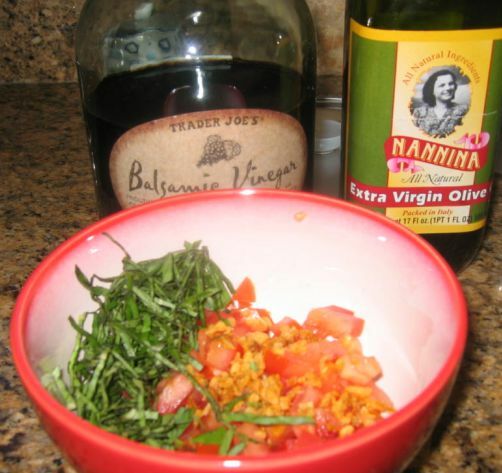 I used fresh and ripe Roma Tomatoes for this dish. 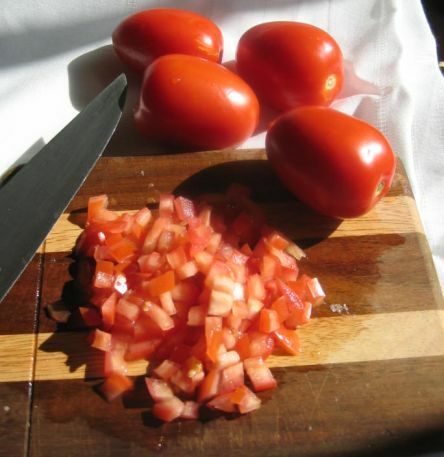 The Roma tomatoes are sweet when they are ripe. I also served with fresh Mozzarella on top. The Bruchettas go in oven for a few minutes just enough for the Mozzarella to melt. 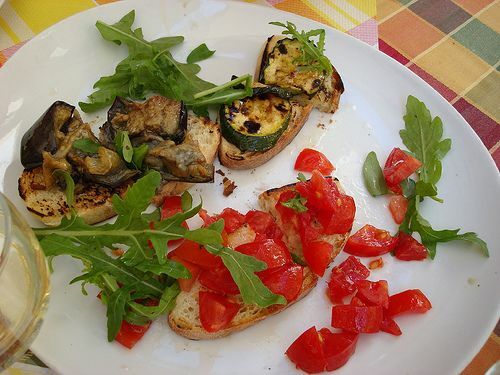 I sometimes served the Bruchetta with grilled zucchini and grilled eggplants. This is very good too! 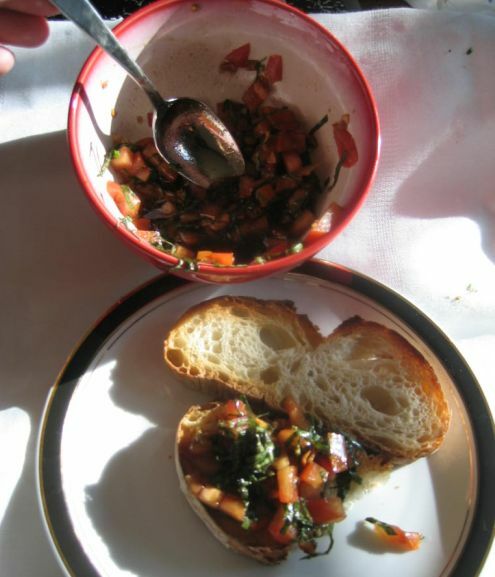 Basically, Bruchetta is a very versatile dish. you can topped it with a lot of things as long as there are tomatoes, basil and garlic it is good to go! Basil is added and fried garlic is added and when I am ready to serve I just pour Olive oil, balsamic Vinegar, a pinch of salt and a few grind of pepper and voila it is done. 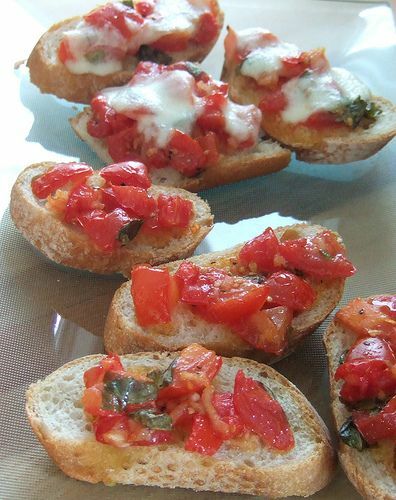 Close look at the Bruchetta.